With their golden bodies and regal manes, male lions are easily recognized as the “kings of the jungle.” Though they mainly live on savannas, not in dense forests, these social predators are an important part of the African ecosystem. 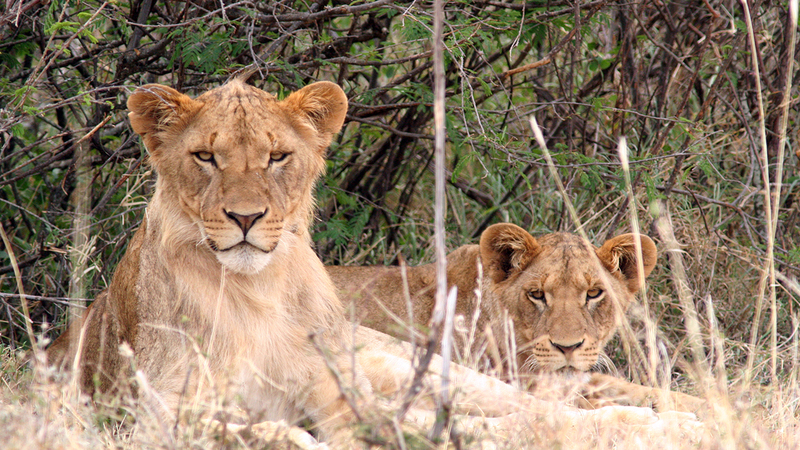 Both male and female lions are territorial. Males form coalitions with other males to try to take over prides. Males defend their territories—and prides—from other males. Females also defend their prides and territories from intruders. The only social species of cat, both male and female lions are territorial. Good territories include reliable water, sufficient prey, and places to hide cubs. Most prides keep the same territories for a long time. 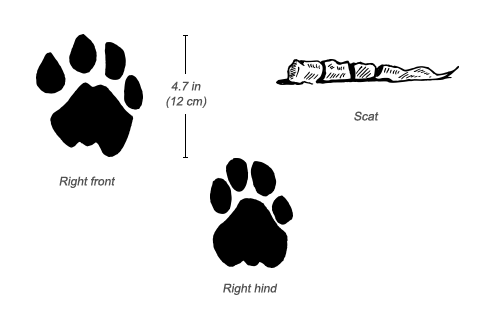 Territory size depends on the quality and availability of prey. With abundant prey around, territories can be quite small. Though a pride occupies a territory, individual members aren’t always found all together. Individuals often break off to spend time in small sub-groups or by themselves. 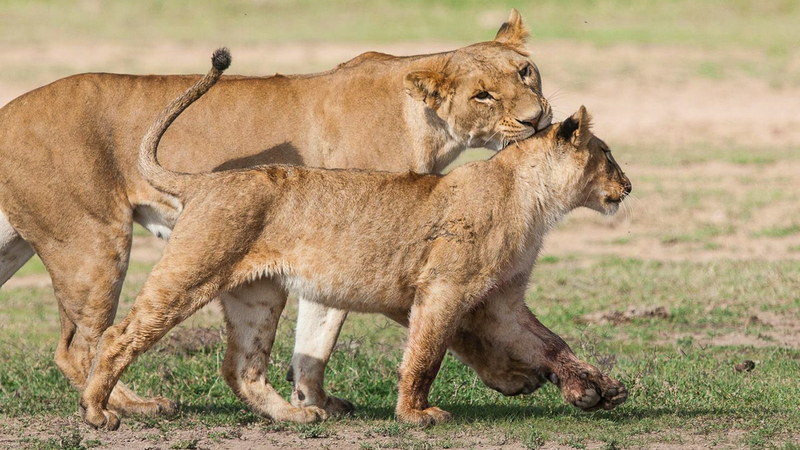 The females in a pride are close relatives. 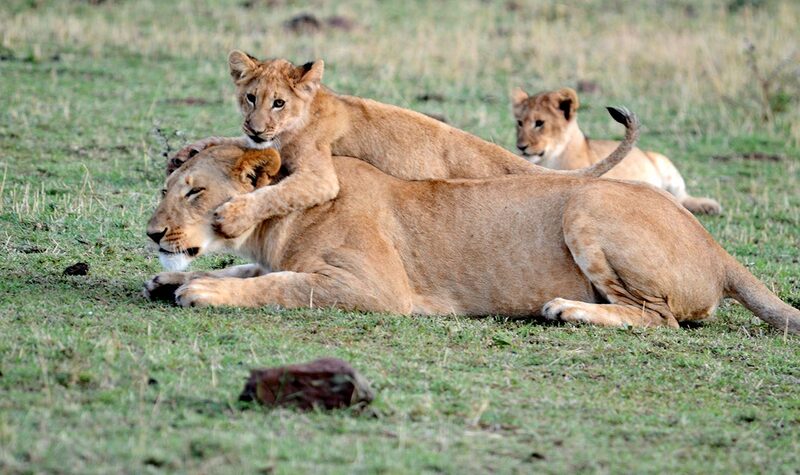 Female cubs stay in their mother’s pride, though they’ll disperse if their father is still the dominant male when they reach sexual maturity. Females don’t seem to have a dominance structure and will help each other raise cubs—to the point of nursing each other’s babies. Male lions disperse from their birth prides as groups of brothers or half-brothers and fight the resident males of other prides in attempts to take over the females. When a new male does take over a pride, he will kill the cubs of the old male. Females in these prides will come into heat soon after, and within a few months they will produce cubs fathered by the new males. Incoming males may evict juvenile females along with competing males. The most impressive of all lion vocalizations is the roar. Prides roar in chorus to cement their identity as a group and to warn off neighboring lions and prides. Visual communication is also key. A male’s mane serves both to intimidate other males and to attract females. Studies have indicated that the longer and darker a mane is, the more effective it is in scaring off competition and winning over females. 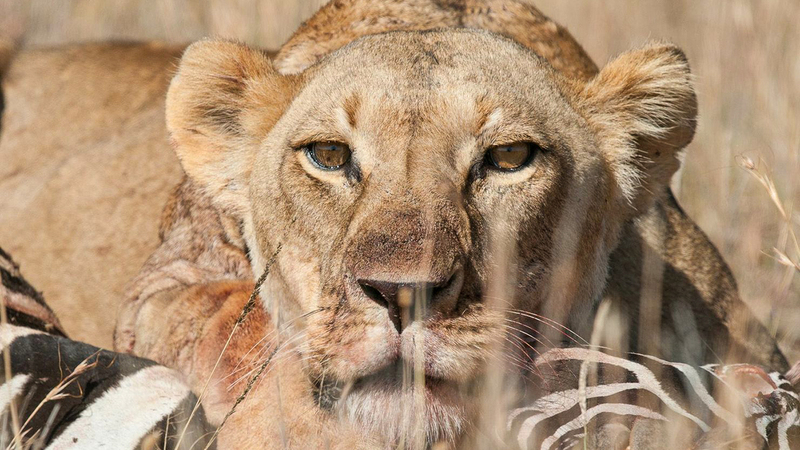 The dark tufts of hair on a lion’s ears and tail allow lions to follow each other through tall grass. 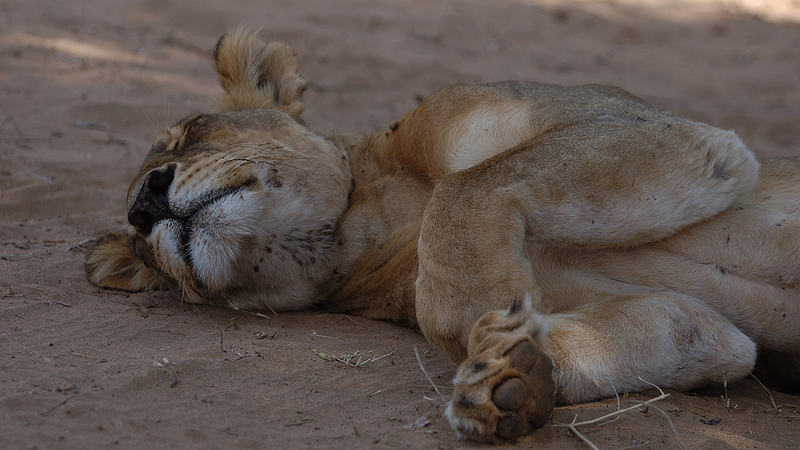 Resting or sleeping for most of the day helps lions conserve energy and resist overheating. They are most active at night. They also cool off by panting or lying on their backs and exposing their bellies to cool breezes. Lions, especially young lions, climb trees to find cool, shady, fly-free places to rest. Resting on high places, such as hilltops and termite mounds, also allows them to keep an eye on their territory and look for their next meal. Lions are classified as a vulnerable species. While they’re not in immediate danger of extinction, their population trend is decreasing and their future is in doubt. Lions need large tracts of land and strong prey bases to survive. Lions are threatened by habitat degradation and conflict with humans that arises because lions take livestock when wild prey has been reduced due to human hunting. 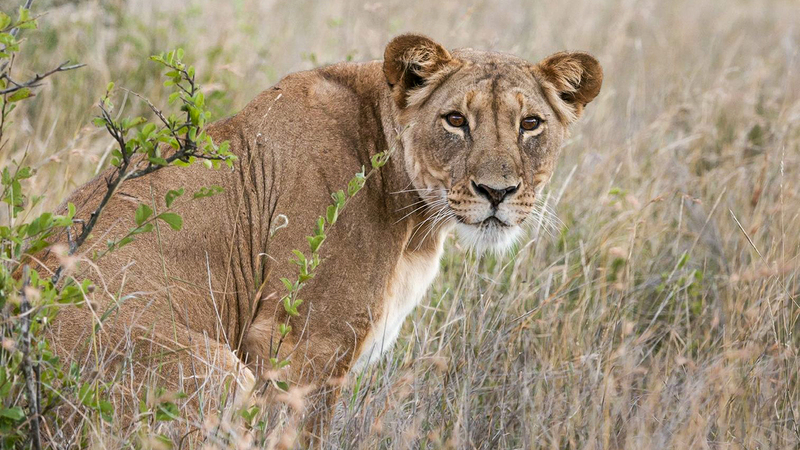 Across East Africa there has been a rise in the use of poison to kill lions. 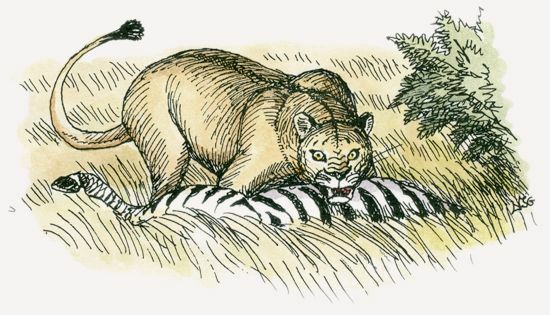 When a lion kills a cow, a rancher will sometimes retaliate by poisoning the carcass. When the lion returns—sometimes with other pride members—it ingests the poison and eventually dies. Until about 11,500 years ago, lions ranged throughout all of Africa and into Europe, western Asia, and India, as well as in North and South America. They lasted until 1,000 B.C.E. in southern Greece and until the 12th century in Asia. They’ve only recently vanished from North Africa, and current populations only live in pockets throughout sub-Saharan Africa. Lions will tolerate almost any habitat with the exception of rain forests and waterless deserts. Beyond those restrictions, they’re extremely adaptable, living in grasslands and bushlands and up mountains to an elevation of 14,000 feet (4,300 m). 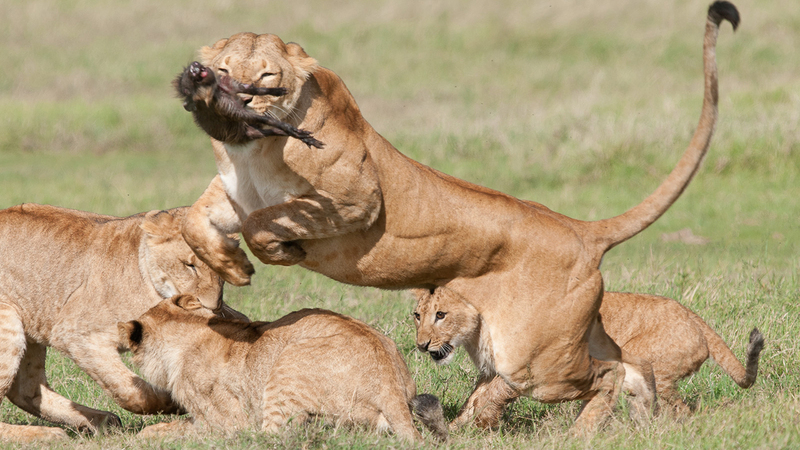 Despite their ferocious reputations, lions aren’t wildly successful hunters. They cope with this by having distensible stomachs, so that when they do manage to kill something, they gorge on enough meat to keep them going for several days.They’re most famous for hunting large ungulates, but the bulk of their diet is actually made up of medium-size animals, including small antelopes and warthogs. 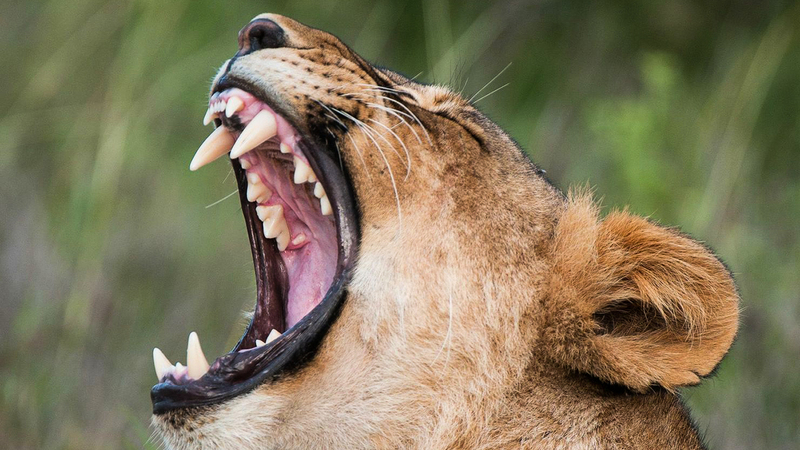 Lions typically kill by strangling their prey with their immensely powerful jaws. These cats famously work as a group to hunt larger prey, including zebras, wildebeest and other antelopes, African buffalos, and giraffes. Even hippos, young elephants, and young rhinos are occasionally killed. They hunt mostly at night, but will also scavenge off the kills of other animals, including leopards, hyenas, African wild dogs, and cheetahs. 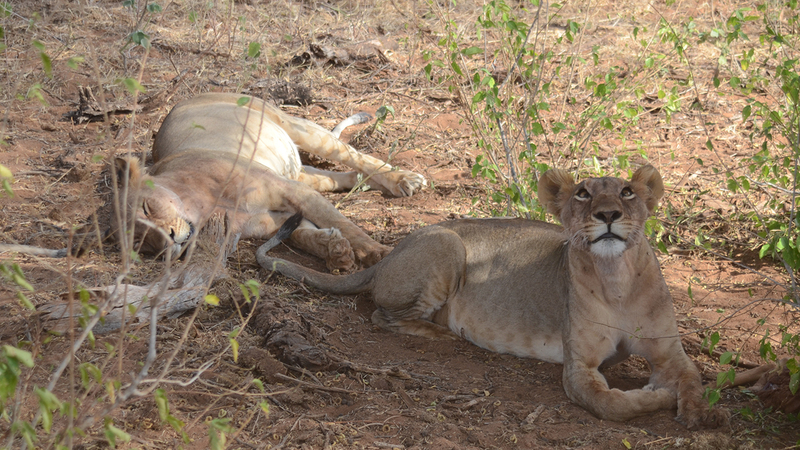 Lions prefer to drink water every day, though they can survive on the hydration they gain from fresh kills. Breeding can happen at any time of year. A litter of between one and six cubs is born after a gestation period of 15 to 16 weeks. When cubs are small, they have a spotted coat. This may be a holdover from when lions evolved in forests, but it also camouflages the cubs and keeps them safe from enemies. 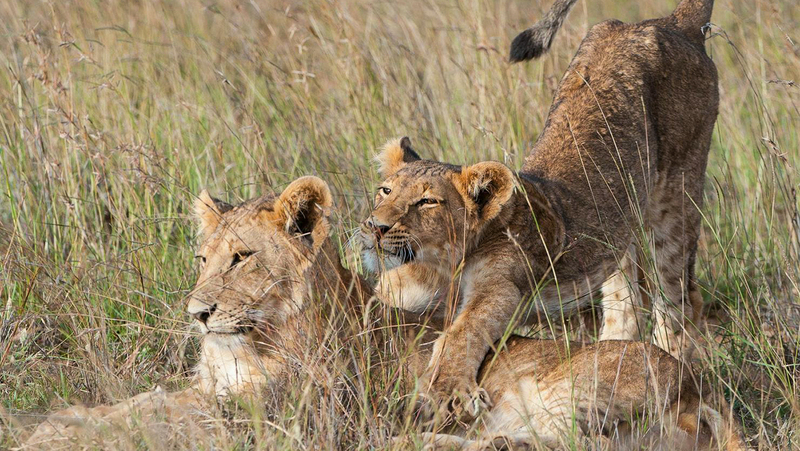 Cubs will try to play with all members of the pride, including nearby adults, though the adults are usually not amused by this behavior. Weaning takes place when the cubs are six to eight months old, though older cubs will continue to try to “sneak” milk from nursing females for a few more months. 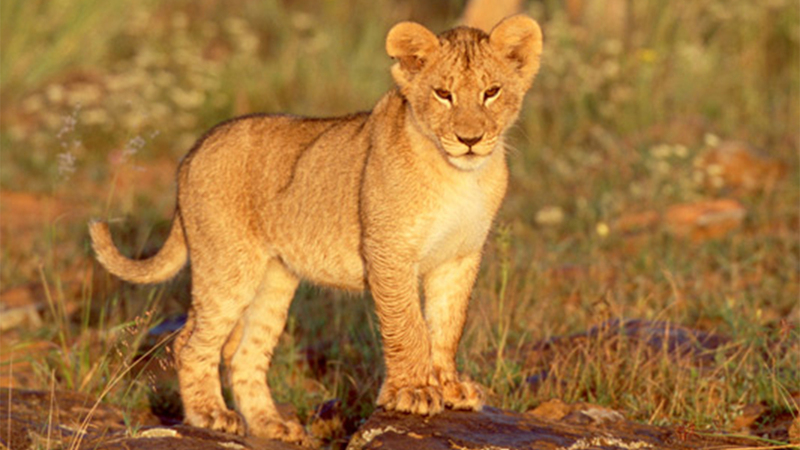 The cub stage is the most vulnerable in a lion’s life. Leopards, spotted hyenas, and African wild dogs will kill a lion cub, but the biggest threat is from unrelated male lions. Rabies and occasionally canine distemper from nearby feral or domestic dog populations can be threats to lions. 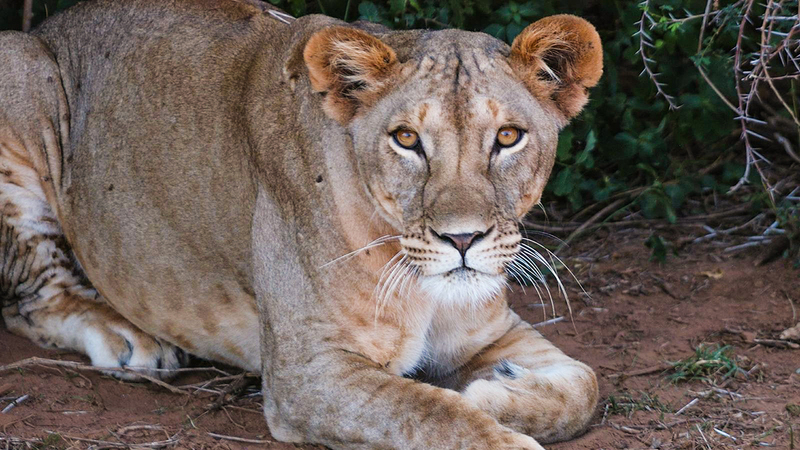 Curiously, although feline immunodeficiency virus, a close relative of human HIV, infects nearly all adult lions, it has few—if any—detectable effects on their health or lifespan. Traditionally, young Maasai males must kill a male lion as part of a coming-of-age ritual. 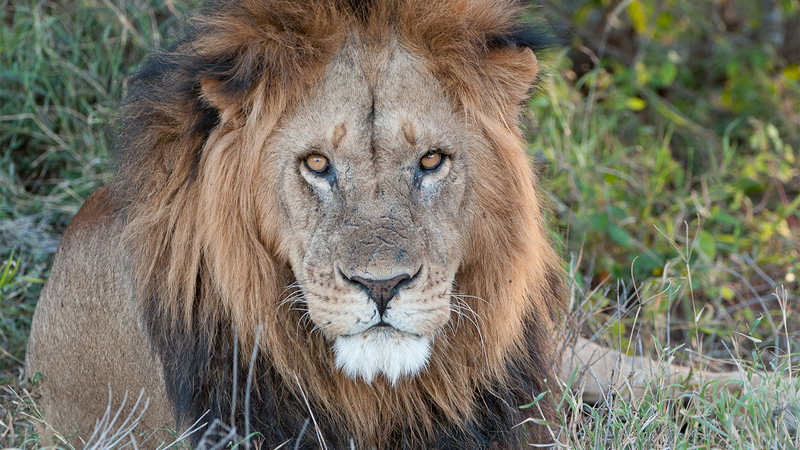 Because lion populations are declining, initiation rules are changing. More and more, these young Maasai men are hunting in groups rather than individually; each group kills just one lion. 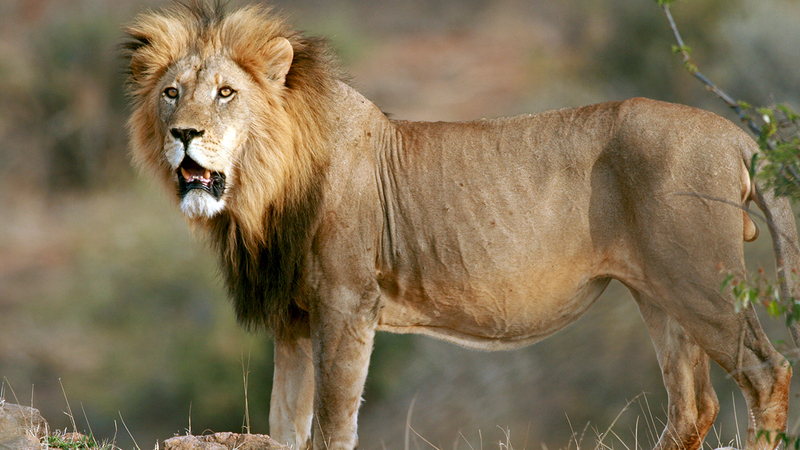 Lions have disappeared from almost 83 percent of their former range in Africa. In 1957, a scientist estimated that 200,000 wild lions lived on the continent. 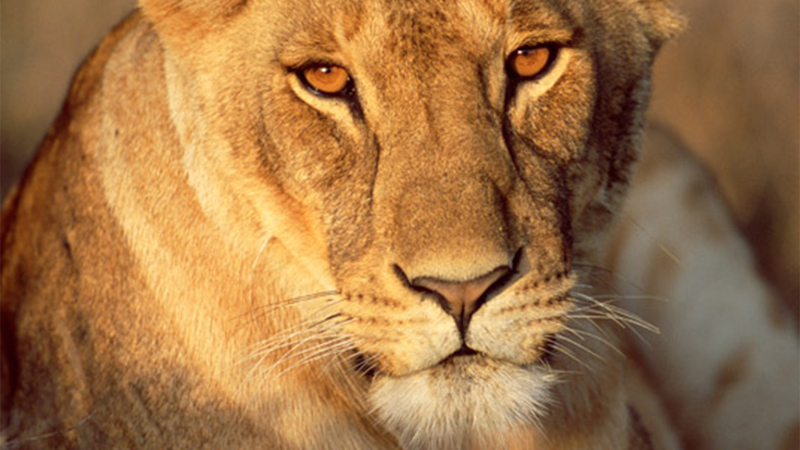 Today, about 30,000 lions remain. Of these, nearly half live in Tanzania and 1,500 to 2,000 are in Kenya, including about 230 in the Laikipia region. It takes several years for a male lion’s mane to reach full growth. Sickness or a major injury can reduce its size and make the male less attractive to females and less intimidating to other males.